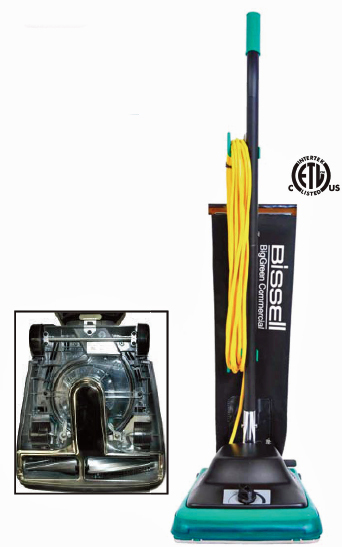 Bissell BG100 ProTough Commercial Vacuum - Upright vacuum with 12 inch cleaning path, straight handle, non-stick cloth shake-out bag, heat overload protection system and reinforced fan with lifetime warranty. 6 position manual carpet height adjustment, metal on/off foot switch. cETLus listed. 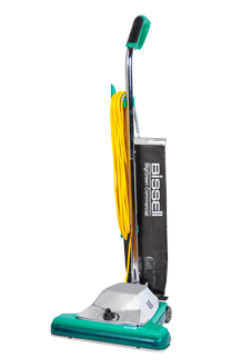 By Bissell BigGreen Commercial, celebrating 138 years of innovation.